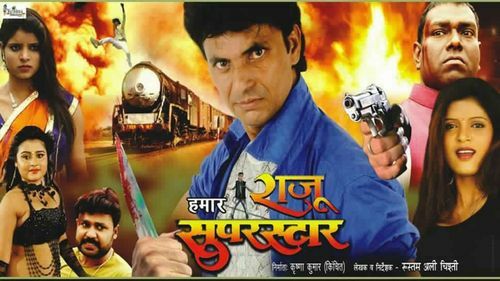 'Hamar Raju Super Star' is a Bhojpuri movie released on 8th June 2018. This Film is directed by Rustam Ali Chisti and produced by Krishna Kinchit. Film 'Hamar Raju Super is full of action and romance. Lead roles are Raju Rasiya, Mushkan Chopra, Binita Das, Atul Srivastav and other.